Dennis N. Brager examines the details of an investigation by the Office of Professional Responsibility. Most practitioners assume that they will never be the target of an investigation by the Office of Professional Responsibility (OPR). However, even the most ethical and responsible tax professional can through inadvertence, bad luck, or personal problems that spill over in to his or her professional life, wind up in the sights of OPR. The purpose of this article is to explore the nuts and bolts of an OPR case against a practitioner. OPR administers and enforces the regulations governing practice before the IRS. The regulations governing practice are set out in title 31, Code of Federal Regulations, part 10, and are published in pamphlet form as Treasury Department Circular No. 230. Although practitioners uniformly refer to these regulations as Circular 230, it is worth remembering that because these rules are set forth in Title 31 of the US Code, they are not governed by the usual tax procedure rules that govern tax cases under Title 26 of the US Code. OPR is headed by a Director. The current Director is Karen Hawkins who previously spent her legal career in private practice. Case Development and Licensure Branch, Washington, DC—This unit reviews disciplinary cases for jurisdiction, recommends the disposition of questionable applications for enrollment and oversees OPR’s Offi ce of Practitioner Enrollment. Enforcement and Oversight Branch I, Washington, DC—This unit investigates practitioner misconduct with respect to possible violations of the Circular 230 regulations, recommends disciplinary sanctions, negotiates settlements and assists the IRS Associate Chief Counsel (General Legal Services) in presenting contested cases before Administrative Law Judges (ALJs) and with appeals to the Appellate Authority. Enforcement and Oversight Branch II, Washington, DC—This unit provides administrative support to the Joint Board for the Enrollment of Actuaries, an independent Federal board established pursuant to the Employee Retirement Income Security Act of 1974 by the Secretary of Labor and the Secretary of the Treasury. The Joint Board, pursuant to its authority under ERISA, acts on applications for enrolled actuary status and, as appropriate, suspends or terminates the enrollment of actuaries who violate the Joint Board’s regulations. The Director of OPR is authorized to institute disciplinary proceedings against practitioners, i.e. 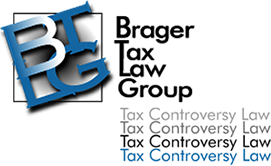 , those individuals who are eligible to “practice” before the IRS. This means attorneys, CPAs, enrolled agents, enrolled actuaries and enrolled retirement plan agents. Circular 230 also authorizes the Director to disqualify appraisers who provide supporting valuations for internal revenue matters. The IRS published regulations effective September 30, 2010 which require all tax return preparers including those who were not previously regulated by OPR to obtain Preparer Tax Identification Numbers (PTINS). The IRS has also issued proposed revisions to Circular 230 which would expand the definition of a practitioner to include “registered tax return preparers,” as a new class of practitioner. Sections 10.3 through 10.6 of the proposed regulations describe the process for becoming a registered tax return preparer and the limitations on a registered tax return preparer’s practice before the IRS. In general, practice by registered tax return preparers is limited to preparing tax returns, claims for refund and other documents for submission to the IRS. A registered tax return preparer may prepare all or substantially all of a tax return or claim for refund, and sign a tax return or claim for refund, commensurate with the registered tax return preparer’s level of competence as demonstrated by written examination.